How about a little "humbug" to ring in the holidays? 2009 was the usual mix of "best and worst of times," another year to celebrate games like Uncharted 2 and Torchlight and Assassin's Creed 2…and grouse about others like Stalin vs. Martians and Leisure Suit Larry: Box Office Bust. 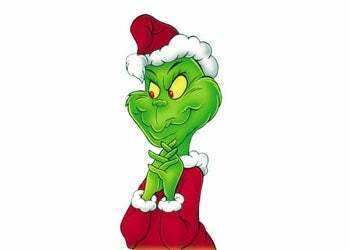 Who was naughty (and not very nice)? Check out the folks that made our 2009 "wall of shame"! Sony, for pricing its leaner, lighter PSP Go stratospherically out of the current market (much less a slumping one). At $250, the PSP Go (see our review) is $80 pricier than the standard issue PSP-3000, which includes a UMD drive and a larger screen. The PSP Go's internal 16GB flash memory might justify a $15 or $20 markup, sure, but at $250, you're paying boutique-plus prices for the "privilege" of a smaller screen, lower battery life, and having to wait hours to download games from an incomplete online library. What's more, existing PSP owners can't bring their existing UMD games over, making the system a financial boat anchor for prior PSP owners with sizable game collections. You'd think Sony would know better, you know, after years of pricing the PlayStation 3 out of its market…and suffering accordingly. Valve, for conflating the so-called "entrepreneurial spirit" with "leveraging market vantage to inflict DRM-style payload." That payload would be the Steam client, which wraps its authentication tendrils around your PC and won't let go, whether you intend to play an offline game like Batman Arkham Asylum or no. 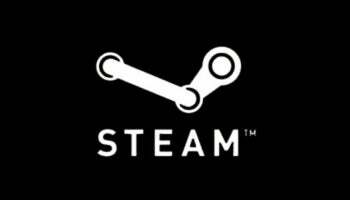 The company's been working with big name publishers like THQ and Activision to include Steam with downloadable versions of PC games, making it virtually impossible for digital storefront competitors like Direct2Drive, Impulse, and Gamersgate to sell popular hits like Dawn of War 2 or Modern Warfare 2 (technically possible, yes, but competitively suicidal, and Valve's just spinning hokum when it suggests otherwise). A Steam monopoly may sound sweet to Valve buffs and/or apologists, but it's bad news for the rest of us, since it results in fewer market choices. That, and it weakens customer leverage when a "feature"--like requiring the Steam client to run a game, or including DRM malware (on top of the "DRM-like" client) in games--rubs the majority wrong. Infinity Ward, for placing a symbolically meaningless, mechanically inane, cynically hysterical play-as-a-terrorist-level in an otherwise decent modern military shooter. 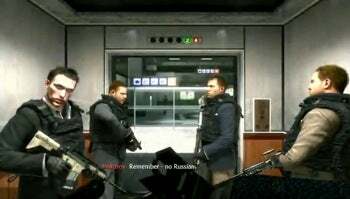 The level, "No Russian," which lets players participate in a civilian airport massacre, could have been a watershed moment in video gaming. Infiltrate a terrorist cell and maneuver near its leader? Explore the nuances of the cell's radical ideology? Grapple mentally with the horrors of participating in an atrocity for the sake of "the greater good"? Bzzzt! Instead, you're dropped without warning into a civilian shooting gallery that badly confuses gratuitous shock-and-awe play with, you know, anything of reflective import or introspection whatsoever. The violence done in games like BioShock or Grand Theft Auto IV? Artful and insightful, but in Infinity Ward's "No Russian" level, you're just a clueless camera with a gun, artlessly aimed and tastelessly triggered. Microsoft, for launching Windows 7 with its back to PC gamers. Windows 7 represents the best consumer-grade operating system the company's released in nearly a decade. That's great news for everyone except gamers, apparently, given Microsoft's oddly Apple-like reluctance to trumpet Windows 7's game-related praises. Doubly odd, in fact, after the rumpus the company raised around its Xbox 360 interface overhaul in fall 2008. What the heck happened to all the Games for Windows evangelizing? Why do most multiplatform titles include Xbox LIVE support but nothing on the Windows LIVE side? And what's up with launching a digital storefront that serves a paltry 13 games? Hooray for Windows 7, Microsoft, but boo-hiss for letting an opportunity to hype your cornerstone games platform pass you by. Apple, for drowning its mobile base in an embarrassment of gaming riches. Research firm IDC says Apple's App Store could stock in excess of a quarter million iPhone and iPod Touch applications by the end of 2010, tripling current levels. Contrast with an estimated 10,000 Windows 7-compatible apps, over 700 (released as well as announced) Xbox 360 games, nearly 600 PS3 games, over 1,000 Wii games, over 600 DS games (from September 2008), and over 700 PSP games. Is it possible to have too much of a good thing? Of course, and with its unwieldy minimalist interface and narrowly focused ranking system, Apple's about to illustrate what happens when you fan a mountain of confetti, then ask consumers to sort through the pieces. And there you have it. Anyone we missed? Were too hard on? Humbug away below.